Make sure to make a reservation in advance for our chocolate DIY courses. You can either choose to make some chocolate lollipops or a chocolate house. ※ Make sure to sign up for the courses on time. 1. Explain the specific lollipop recipe. 2. Distribute raw ingredients and start with lollipop making. 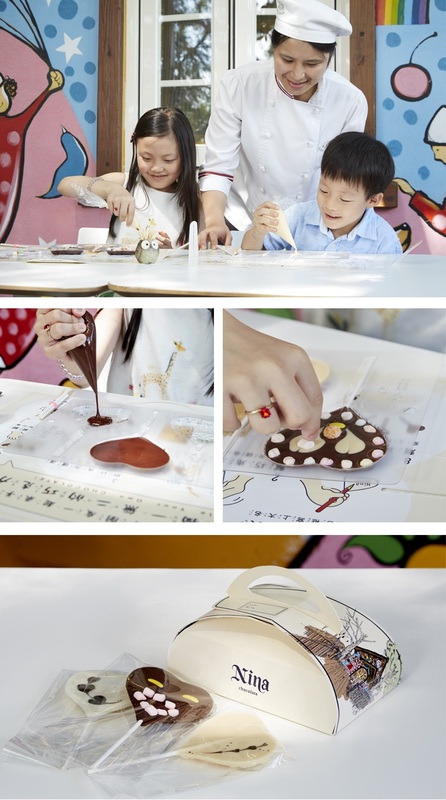 Each person is distributed with a DIY pack that contains 1 piece of chocolate (3 lollipops), decorative dried fruits, and 1 piece of lollipop mold (for making lollipops on site). 3. Complete your own unique & personalized finished product. 1.Explain the specific chocolate house recipe. 2.Distribute raw ingredients and start with the chocolate house making. 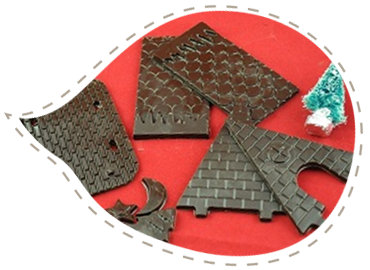 Each person is distributed with a DIY pack that contains 1 piece of chocolate bar, decorative dried fruits, and 1 piece of chocolate house mold. 3.Complete your own unique & personalized finished product. Courses are available throughout the day. (total time taken to complete the finished product depends on the individual, which generally lasts from 30 minutes to 1 hour). During July and August, be sure to make your reservation and sign up for a suitable session for your chocolate DIY courses. Those who fail to do so may need to wait on site until the course is made available. A maximum of 15 individual quotas is made available for tourist group and an advance reservation is required. We appreciate your patronage and support for the chocolate DIY workshop run by Nina Chocolate. Reservation can be made in this month and next month but not the month after next. In this way, we can better arrange suitable chocolate DIY courses of the month based on the individuals who signed up for the courses. (e.g. 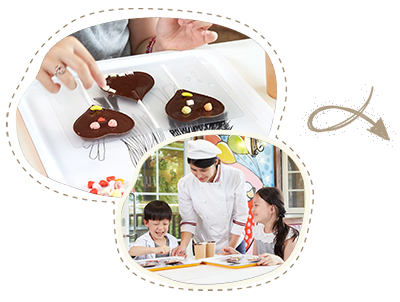 : a visitor who wants to sign up for the chocolate DIY courses in April may make an advance registration for April and May). We thank you for your cooperation and look forward to your next visit. With a limited individual quota for each chocolate DIY session, we hereby recommend you to make your reservation in advance to ensure actual participation and actual attendance. We only offer on-site reservation if there are remaining quotas left. We also welcome our foreign guests to contact us through e-mail. (1)Call 049-2802988 for reservation in advance; customer service hour: AM 9:00 - PM 7:00. (2)For online reservation, please click here to fill out your registration form. (3) Make sure to note your time of arrival in the column of "other needs". We welcome you to join our secret chocolate world.